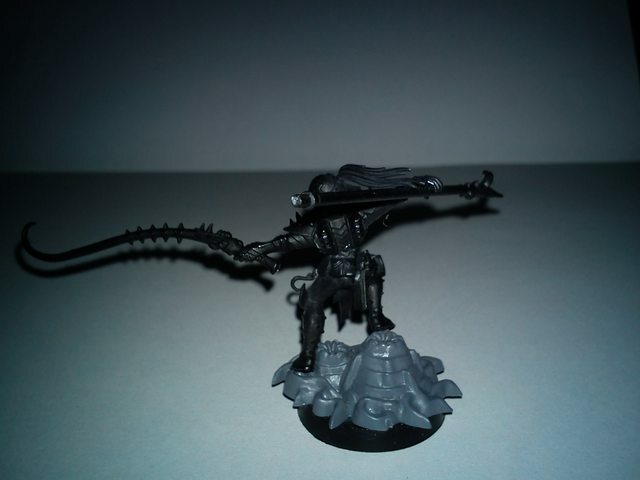 Personally, I prefer to kit-bash where possible, just to get some diversity among units that would otherwise be exactly the same - I have four of the GW archons, and only one of them has any of the weapons from the kit (and even then it's only the huskblade). I think a Lhamaean-based archon would look pretty good. 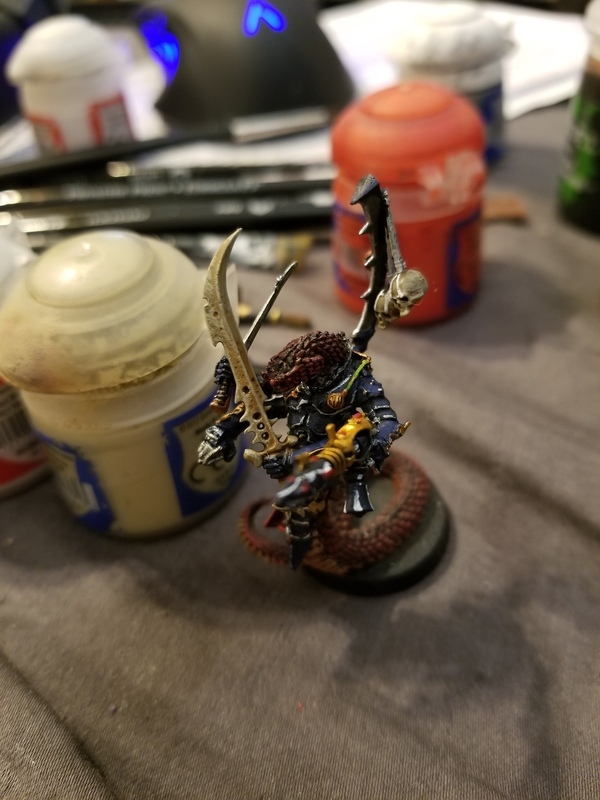 In regards to finecast, I'm not sure how much help I can be. 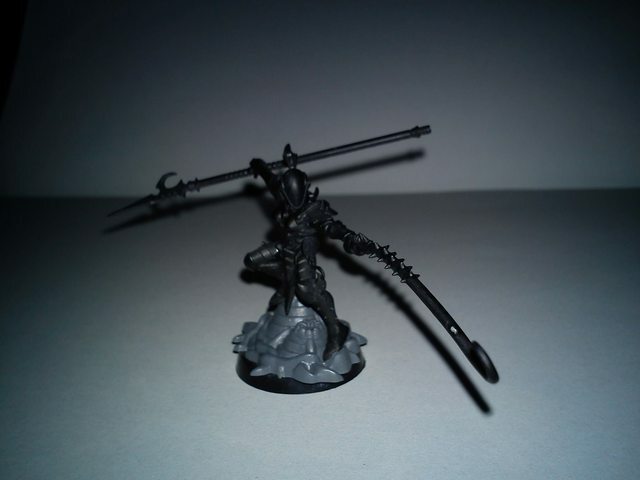 I've got four Sslyths that have an array of weapons from plastic sprues, and they seem to attach fine - but I'm not sure how that would work with the Lhamaean, who, if I'm not mistaken, comes in one piece. I suppose as long as the contact points between the finecast and plastic parts are smooth enough - no mould lines, unnecessary clippings etc. - it should go together alright. It just needs a bit of patience (and I say that from experience). Recently I've had quite a bit of fun with kit-bashing my own custom models from scratch - mostly out of spares and other models. 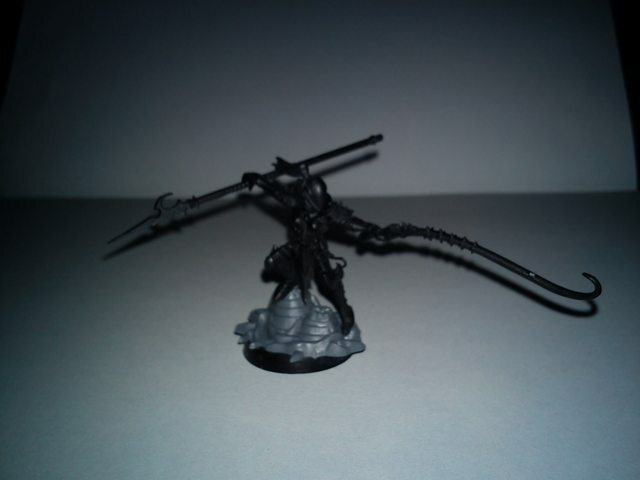 The picture below is my latest creation - a winged archon for my kabal, kit-bashed out of spare bits and a Scourge torso/wings. 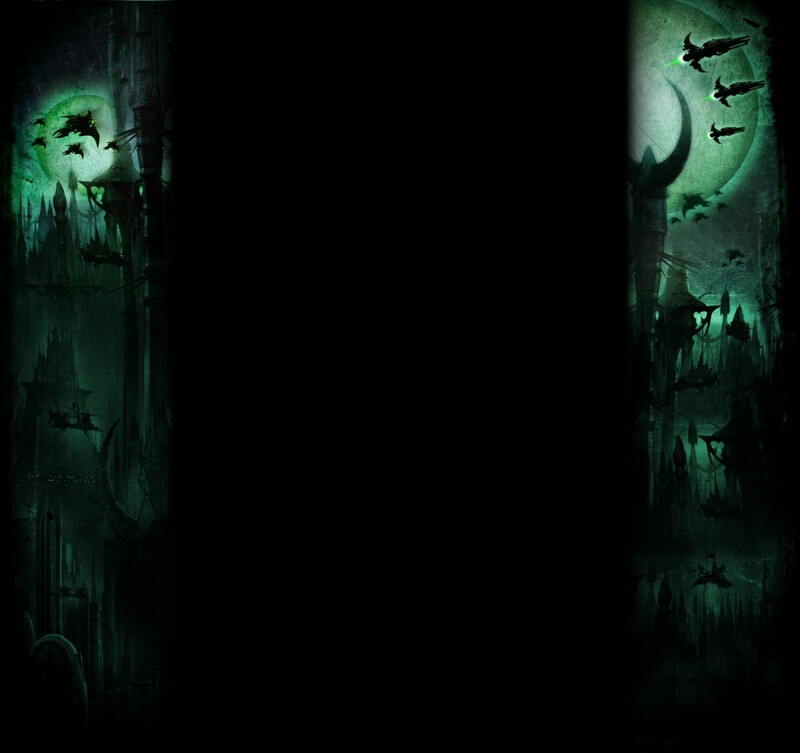 I'm still writing the background that describes the axe he uses, but for match purposes, I can probably use it as a power sword. very cool looking model, btw! 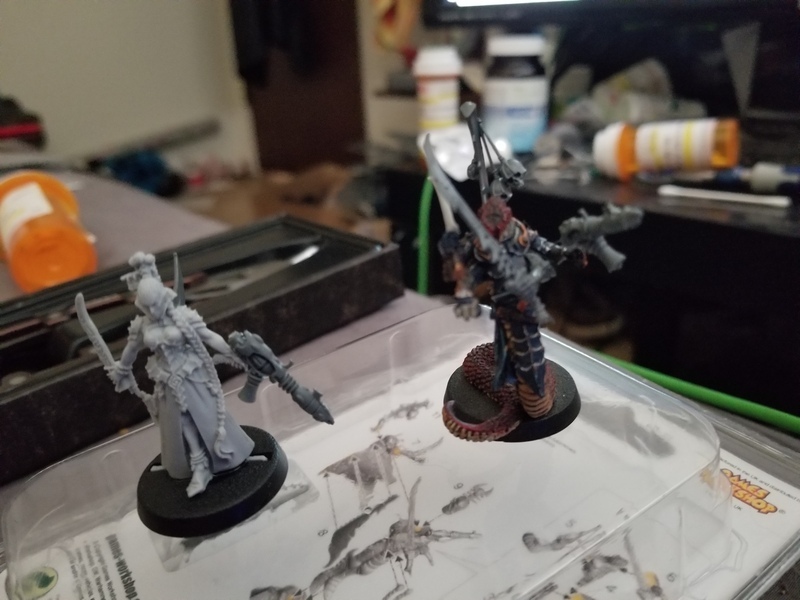 Kinda fuzzy, but thats my two archons at the moment. Not much work on the Llamaean, used a cut up shredder for a blaster, and put a spike on her back. 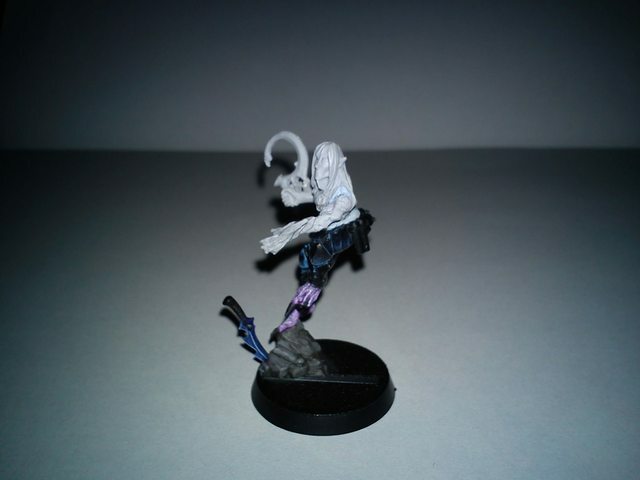 Some nice conversion work there. Should look great once they're all painted up. Never thought of using shredders as a proxy for blasters. Makes them look more unique. 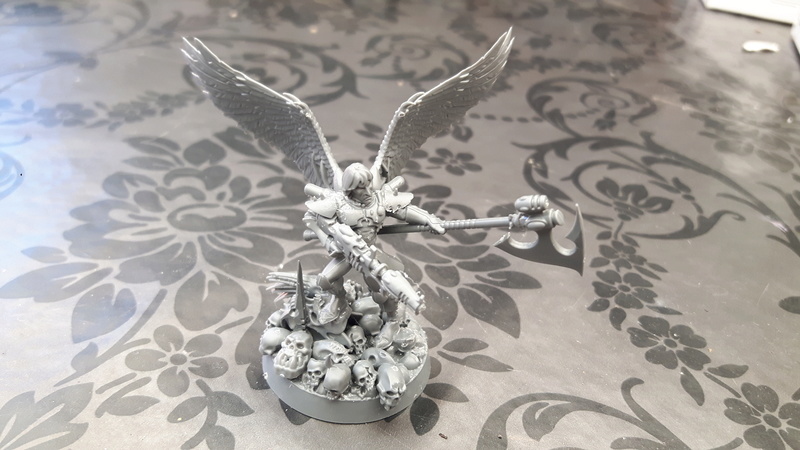 The Sslyth archon looks very cool - might have to try something like that myself (maybe not as an archon, but as some sort of unique 'super-sslyth' character that can work with my fluff). 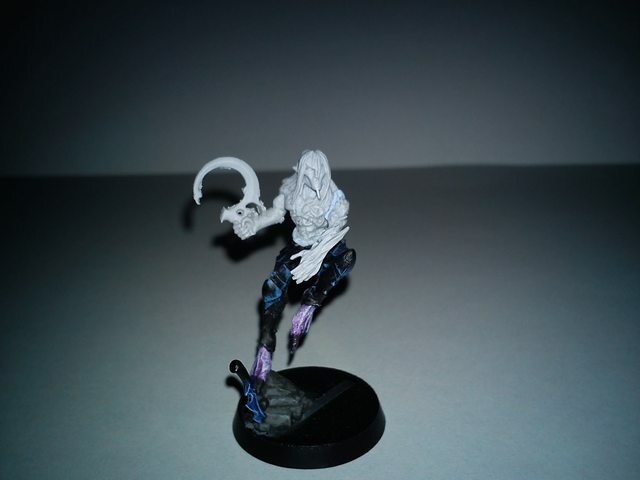 Though, I'm curious to know why you put him on a 25mm base - don't Sslyths normally come with a 40mm base? 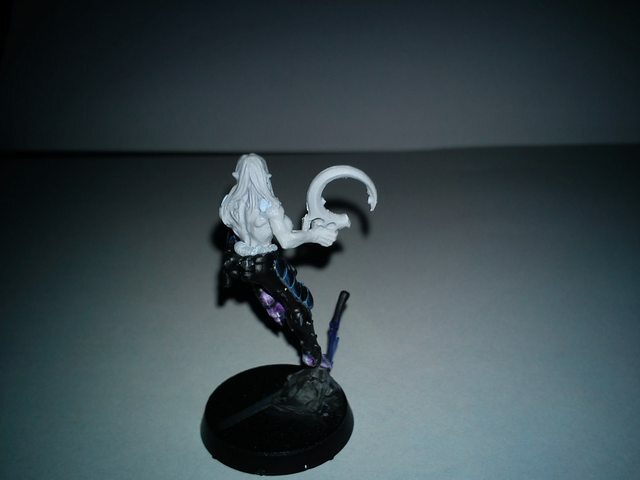 I'm just thinking of how fragile the tail might be like that, given that it's finecast. 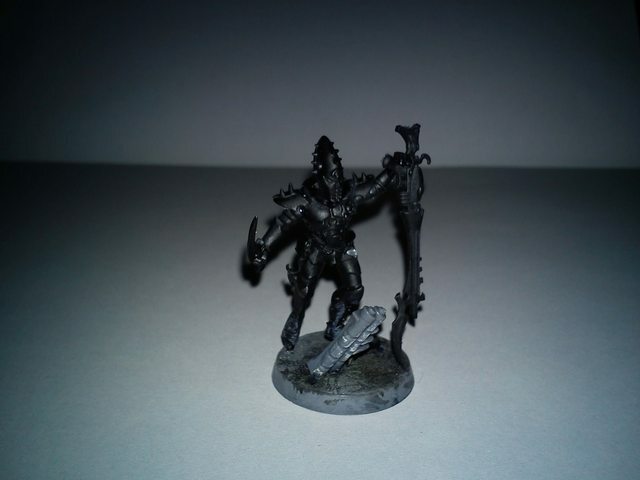 ...honestly I dont know why he's on a 25mm base. I coulda lost the base for him and put him on an extra one.... Or I used him as the Duke in the old editions...so maybe thats why? Originally sslyth were on 25 bases only for the last few (ok maybe more than a few) years did they end up on larger bases. Wow, that looks amazing. Makes me even more sad that Archons can't take Wings (or any equivalent). Can I ask where the non-DE parts are from? Also, regarding the Axe, a Power Sword seems like a strange choice. I'd have thought a Huskblade would be a more logical choice (especially since +1S -2AP is the same as for a Power Axe). Up to you, obviously, but that's how I see it. As for the weapon profile, I... hadn't considered that. I suppose it would make more sense as a Huskblade, but I think I was looking at it more from a WYSIWYG perspective - how would an opponent, seeing it for the first time, define it before I inform them - so a Power Sword seemed the most appropriate based on its current look (shame there's no generic 'power 'weapon'' option anymore). It'll probably be easier to define/decide on its profile once its painted - I'm intending to do the blade in a green/blue crystal effect, inspired by the Glass weapons from the Elder Scrolls game series. One more thing - can I ask how you got the Blaster aiming at an outwards angle? I thought it could only lie flat against the model's chest. I suppose the reason I find it weird is that the Power Sword is the only weapon with a clearly defined shape - and it isn't an axe. Meanwhile, Venom Blades and Huskblades might imply a sword, but really they just define the weapon as having some form of blade - which could easily include that of an axe. And 'Agoniser' doesn't really imply anything at all. Again, though, that's just my two cents. Normally it does, but with this one, I filed down the area where the arm attaches to the torso - so when it's attached, the angle is different. I've done this with some of my other models that use Blasters, Shredders etc., though not to this extent. 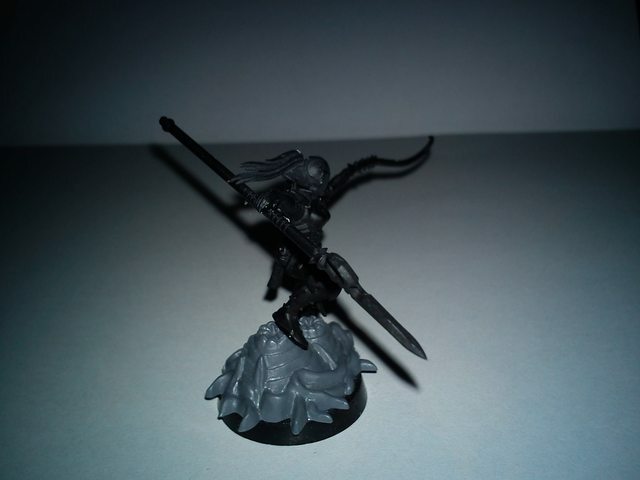 It's particularly useful if the pose you have in mind isn't reliant on using the other arm to hold the weapon - especially if you're tweaking the GW Archons. And I get what you're saying about the axe. Maybe I'll try running it as a Huskblade or Venom Blade in my next match - should be interesting. 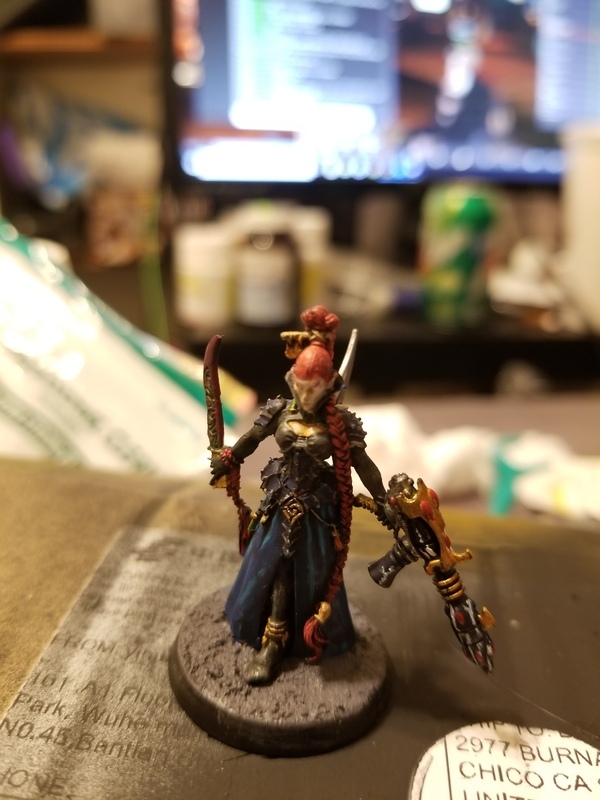 I'm liking the Sslyth Archon. I guess they don't make for reliable bodyguards, after all. Ah, I see. I'll have to give this a go myself. Thanks. 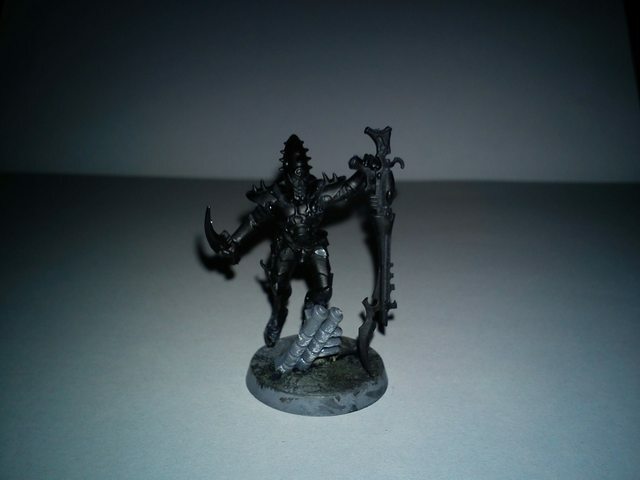 I got some Mandrakes a while back, but a few of the molds had messed up. GW sent me replacements and let me keep the other ones, too. 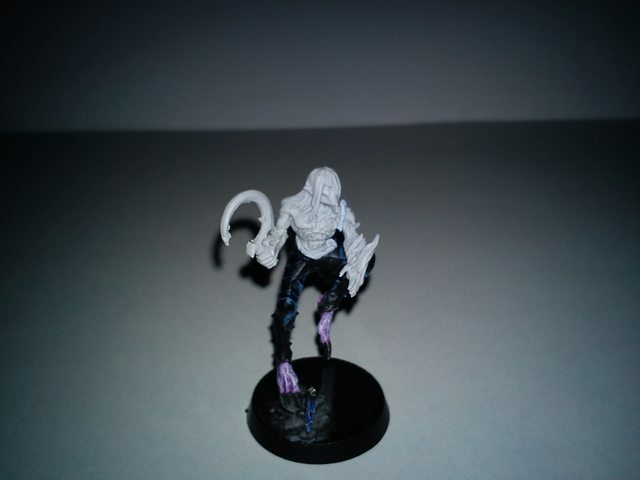 This one's feet were a mess, so I cut off the lower body and am trying alternatives. I liked the idea of using Scourge legs just for the claws (their normal feet are a little too normal for my tastes). Not sure about the pose, though. I'll probably mess around with this one a little more. It's possible he'll also end up with wings, but we'll see how it goes. The next two came about because I had quite a few of the models that are supposed to hang on the side of Raiders or Venoms, which I've never used. I wanted to do something with them. Not much to say about these two. Really, I was just trying to find ways to fit their unusual poses. 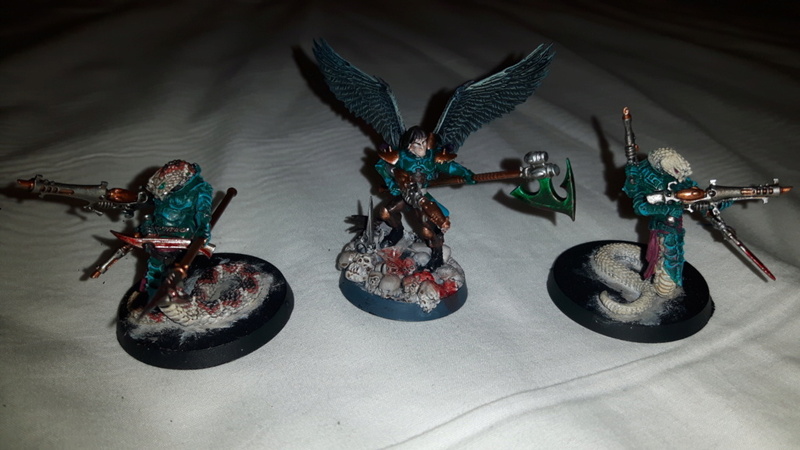 For those who were interested, here is my kitbashed archon painted up, along with a pair of sslyths. I'll have some better images tomorrow. 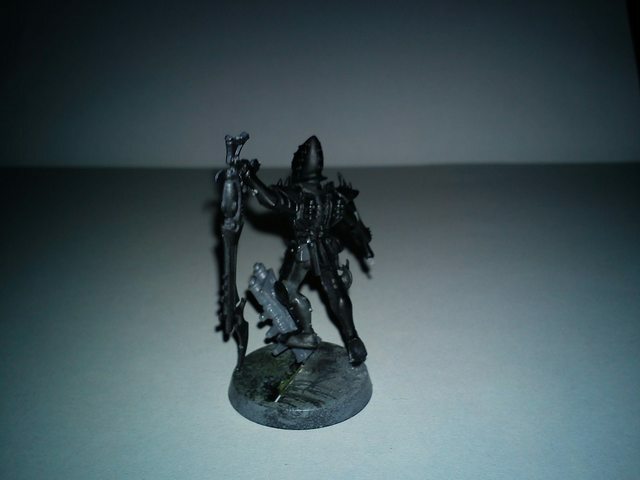 Subject: Re: To kitbash or not to kitbash?